How many times do you scrub your face per week? My skincare routine for exfoliation scrub at least twice per week. I don’t go for facial session, as long as I keep my skin clean and dead skin free, facial will be unnecessary. 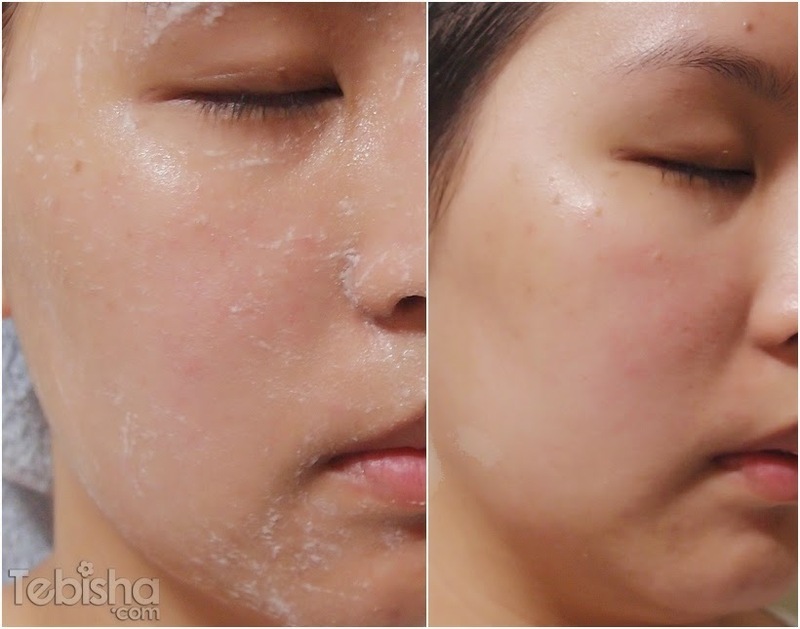 Crème Simon Brightening Detox Gentle Double Exfoliation Scrub is one of the best skincare scrub I had used so far. This creamy gentle scrub contains 2 kinds of natural beads to refine and revitalize skin. Specially formulated to be non-drying, it uses baby-safe cleansing ingredients for the most delicate skin. Unveil perfectly cleansed, smooth, soft skin with a lovely fresh glow. Gently massage product on dampened skin before rinsing off. Reviews: I love exfoliation scrub that contain natural beads, the sensation of beads massaging over my face makes me feel my pores are truly cleansed. My face glow immediately after washed off. Some scrub will make my face dry and even skin peeling but Crème Simon Gentle Double Exfoliation Scrub doesn’t give me the tightness feel and my skin remains hydrated and moisturised. Up-close picture of my skin while using the scrub and after scrubbed. The glow and shine of my face after using the scrub, my skin feels smooth and supple, no dryness! To celebrate our very own Singapore Makeup Artist Larry Yeo’s birthday this April. Purchase any of his 4 favourite products (Gentle Double Exfoliation Scrub, Crème Universelle, Restorative Sleeping Mask, Dermo-Activ Floral Serum) on Crème Simon e-store and get another one FREE! Promotion is valid till 30th April 2015. You may also use this 10% discount code ‘3PZSX85’ to receive a 10% off of other purchases in their e-store.